Bring sophistication to your day with the CITIZEN Calendrier. This timeless watch features 12/24-hour time, world time in 24 cities and day/date. 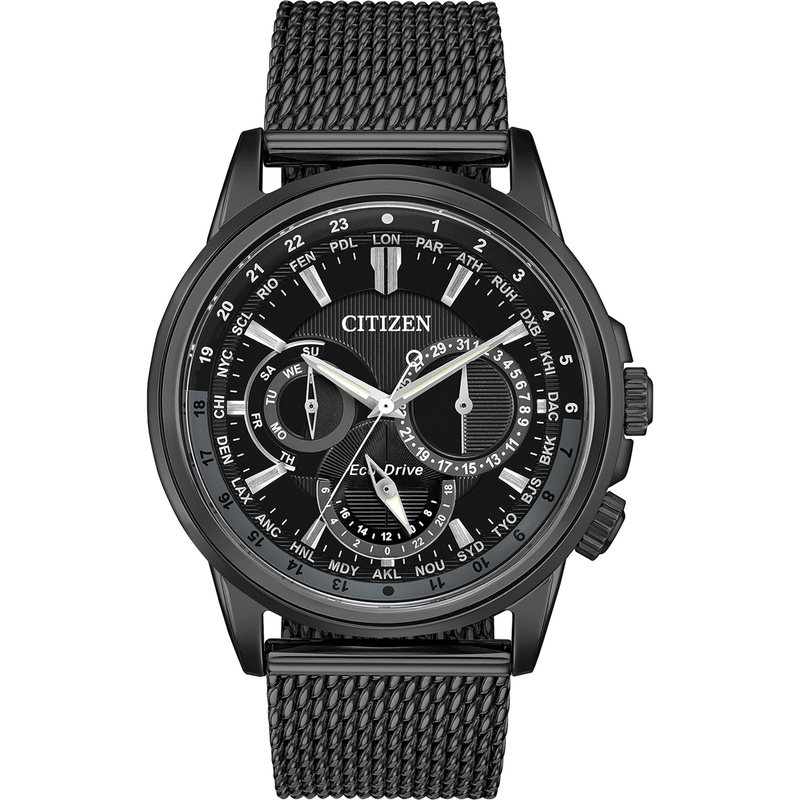 Men's watch featured with black ion-plated stainless steel case, black ion-plated stainless steel mesh bracelet with black dial. Featuring our Eco-Drive technology – powered by light, any light. Never needs a battery. Caliber number 8729.